About a week after the top financial regulator threatened to sack the chief executive officer and chairman of any bank that fails to publish its financial statement within the regulatory period. 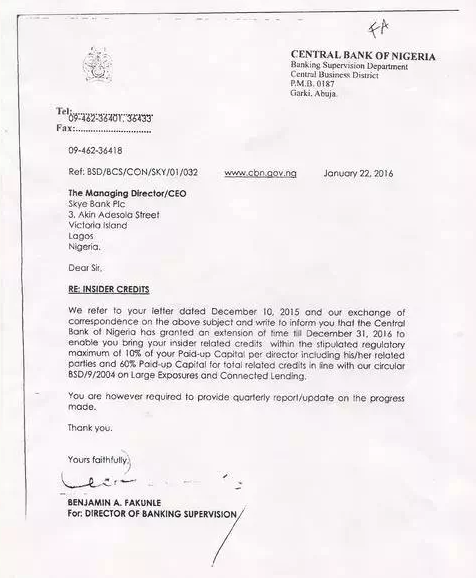 The Central Bank of Nigeria (CBN) hammer has hit one of the apex bank in Nigeria. Skye Bank of Nigeria becomes the first to be taken over by the CBN in recent times and its directors have resigned en masse. 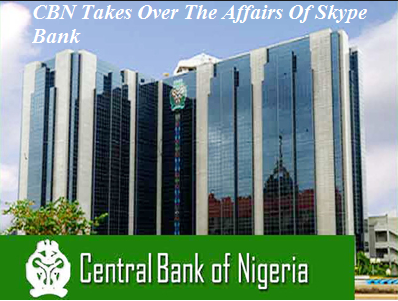 Yesterday, Central Bank of Nigeria (CBN) toke over Skye Bank of Nigeria. This report is believed to be one of those distressed in the country. CBN action has prompted Mr Timothy Oguntayo, the managing director, and other top management of the bank to resign ahead of a perceived mass purging by the apex bank. Form the report Entertaintechnews gathered, there is indication that all the non-executive directors of the bank were also part of those who resigned. There is also indication that Intercontinental Hotel in Lagos might lose its franchise since it was heavily financed by the bank.